If Callan wasn’t the greatest show on British television, it comes close. The story of a disaffected spy, it ran through four seasons at the dawn of the 1970s… two in black and white, two in colour… and reappeared on UK screens in the mid-1980s to remind us of the days when television wasn’t simply worth watching, it was compulsory viewing. It’s a cliche now, but the streets really did empty when Callan was on. 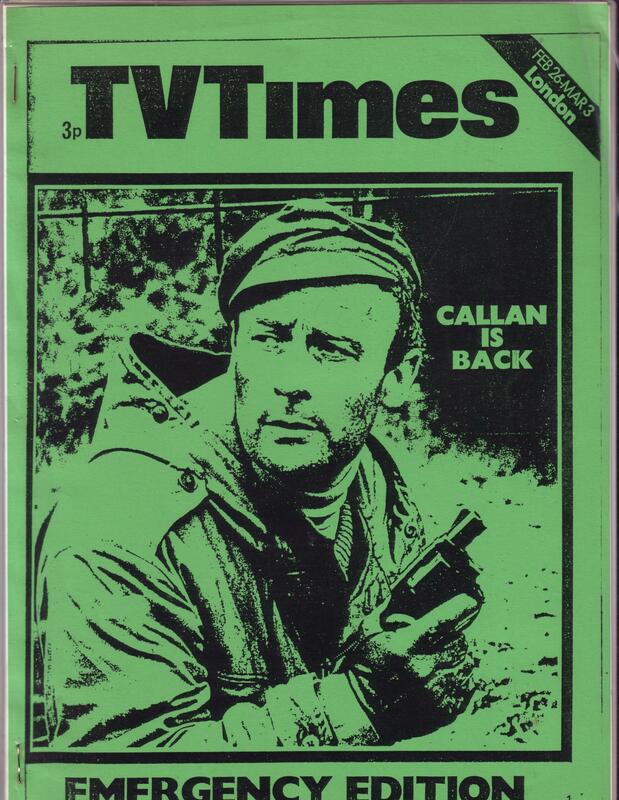 Published in 1987, Callan was my tribute to the show, a slim but packed guide to every episode of the show, plus an interview with actor Russell Hunter, who played the titular character’s smelly sidekick Lonely. Fifty or so copies were printed up and sold through a couple of stores around north London that specialised in TV nostalgia.